We’ve seen Arduino-based game controllers before, but the UnoJoy project wants to make it easy for you to plug them into a gaming console. 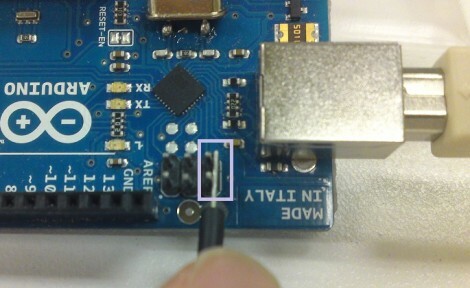 The project is targeted at the Arduino UNO. Why only that hardware… isn’t Arduino universal? Well yes, but in this case the bootloader needs to be overwritten so that the Arduino will enumerate as an approved controller on your game system. Here the device is being put into DFU mode in preparation for flashing. Once that part’s done it’s time to get to work on your own hardware interface. The UnoJoy library provides all of the hooks you need to push controller data to the game console, it’s up to you to use the Arduino IDE to decide when these events happen. This would be a great opportunity to make the Pinball Stop controllers work with the Xbox Live Arcade games. Or take a look after the break to see [Alan Chatham] using the library to control Gran Turismo as if it were an NES Power Pad game. Not to be outdone by their North American counterparts, these German-speaking hackers have come up with a truly unique console mod. Although modding one system may be OK for most, the builders of this console decided to combine three systems into one clear plastic box. A stripped down Xbox360, Playstation3, and Nintendo Wii were all put together to form this “Extrem” system. Recently, a Japanese coder on the DCEmu Forums released Windows drivers for DualShock 3 controllers. While the drivers only support using the controllers over USB and not bluetooth, they do include force feedback and Sixaxis support. Included with the drivers is a configuration tool, and though it appears to be in Japanese there is some explanation of how to use it included in the forum post. We have not tested these personally, but you can try out the drivers for yourself by downloading them from the forum here. Last week Sony launched the public beta of Home, their virtual world for the PlayStation 3. It wasn’t met with much fanfare and has proven to be quite buggy. Many were less than charmed by scarcity being ported to the virtual world. Others took it upon themselves to hack the service. Connections between the user’s home console and Sony’s server are unencrypted. You can sniff the requests and responses off the wire and modify them live. It seems you need the console to establish the initial connection, but after that you’re free to use builtin tools like Download.jsp, UploadFileServlet, and Delete.jsp to modify any file on the host server. You can also set up a proxy server to modify content, but that will only affect what your console sees. The video above supposedly shows a Playstation 3 booting a game from the hard drive by booting a legitimate game from disc. There aren’t many other details besides a comment that backing up Blu-ray discs takes a lot of space. So, if this does actually work, it’s doubtful we’ll see much piracy because of it.